The Town of Cornelius, North Carolina is a great place to live and raise a family. Located 20 miles north of Charlotte just off I-77 on the shore of beautiful Lake Norman, Cornelius had a 2010 decennial census population of just under 25,000. The town was founded in 1893 as a mill and farming community under quite unusual circumstances. After heavy rainstorms made the road connecting Davidson and the future Cornelius impassible, cotton farmers began plying their trade in a small building just south of Davidson. Joseph Benjamin “J.B.” Cornelius later supplied the investment needed to open a new mill in this more convenient location, originally incorporated as a town called Liverpool but changed to Cornelius to J.B., who was the principal stockholder in the cotton mill. Another seminal moment in the development of Cornelius was the development of Lake Norman – created in 1963 by damming the Catawba River. This decision was as influential as the cotton industry to the town’s growth; with a hydroelectric power source, innumerable recreational opportunities and over 70 miles of brand new lakeside property, the area flourished and continues to this day to provide residents with a very high quality of life and is a true dream for the outdoorsman and water enthusiast. Cornelius offers its residents an attractive mix of entertainment and recreation options. There are 10 public parks including Jetton Park, a 106-acre lakefront park that provides decks, swings, playgrounds, a sunning beach, tennis courts, shaded trails, ample opportunities for picnicking, championship golfing and much more. For the boater, there is a variety of marinas that makes boat storage quick and easy. 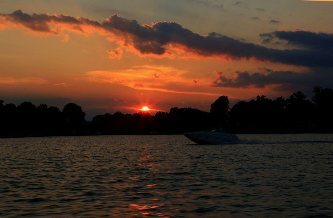 Residents and visitors alike enjoy year-round boating, jet skiing and fishing. And who doesn’t love dining on the water? There are dozens of options to choose from, from local restaurants to clubs offering formal dining, casual dining and a variety of live music throughout the year. Boaters can even anchor at several floating restaurant piers! Cornelius also offers its residents a very real sense of community with a number of activities each week. The Parks, Arts, Recreation & Culture Commission puts on all kinds of events from Country Night in the Park and its Cinema Series with movies for residents of all ages. And Cornelius has a very vibrant retail life offering a variety of shopping experiences from small boutiques with one-of-a-kind finds to chain stores. The area also boasts of treasures in antiques stores, as well as art galleries featuring local, regional, and international artists with rotating shows and exhibits. “Going green” is your thing? Check out local farmer's market for organic and locally grown produce and products. Economically, Cornelius is very diverse as well – despite its modest population, the town has 10 businesses with over 100 employees apiece, including Home Depot, the YMCA and Charlotte-Mecklenburg County School District. There are also a number of office centers for your business needs. For the commuter-oriented worker, there are tons of job opportunities just up the road in Charlotte, which is less than 20 minutes by car from Cornelius. Mecklenburg County is widely considered one of the premier counties in North Carolina for public education, with graduation rates and SAT scores above the state averages for both. The county’s vision and mission speak to their progressive and dedicated approach to education – provide all students the best education available anywhere, preparing every child to lead a rich and productive life, and to maximize academic achievement by every student in every school. There are also a number of private school options in the area. Looking for Cornelius homes for sale? Searcmyh local listings database for access to listings in Cornelius and surrounding areas. Whether you want to buy or sell Cornelius, North Carolina real estate, you can browse through properties or find a wide variety of real estate resources available on this website. Are you considering a move to the Cornelius area? Perhaps you are moving on to another opportunity and looking to sell a home? Jimmy Dagenhart has the experience and dedication you need in this market to help make your dream home a reality if you’re buying, or to get you full market value to the seller. Please take a moment and search my local listings database for listings in Cornelius as well as surrounding areas. Whether buying, selling or just doing some research, I hope you will take advantage of the wide variety of the real estate resources available on my website! If you are looking for a Cornelius REALTOR®, I sincerely hope that you will give me a chance to meet or exceed your expectations. I can assist you with all of your home buying and selling needs. 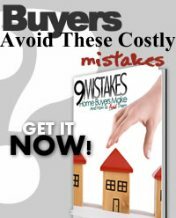 Over and above our local listings database and bounty of other online tips, services and information, I will always offer a friendly demeanor and the experience that will make the home buying or selling process easier for you and your family. With me, you are not just a name or number; you are another member of the amazing Cornelius community. As your Cornelius real estate agent, I’m deeply invested in helping you meet your real estate needs. Have a wonderful day and I hope to hear from you soon!